Make a sophisticated statement in your home with purple Roman blinds. Opulent amethysts have a rich jewel-like quality, while plums and mulberries have a cosy appeal. Or maybe you’d prefer to plump for pretty pastel shades, which are right on trend this season. All of our purple Roman blinds are fully-lined as standard for a snug feel. For added warmth, you can upgrade to an innovative thermal lining. Clever blackout options are also available to reduce unwanted light. 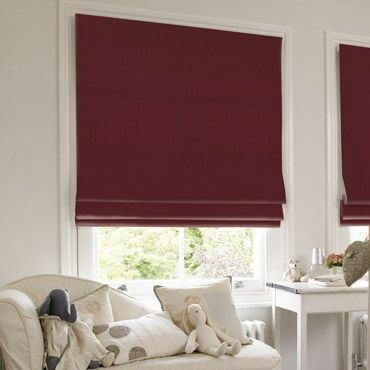 Our range of Roman blinds not only provides a stylish selection of shades, but a gorgeous choice of designs too. With so many chic fabrics at your fingertips, it can be tricky to pick a favourite. Luckily your local Hillarys advisor is on hand to offer expert advice. Book a free home appointment and see samples of our beautiful fabrics in the comfort of your home.